Ch Dawnus Bear Force One "Fly"
Introducing the newest member of the Dawnus Team "Fly" - a second generation Dawnus Field Spaniel from my homebred girl Dare (Ch Dawnus Always Dare to Dream ET WPD) and the lovely JB (Ch Fieldspan Ina Class of his Own). 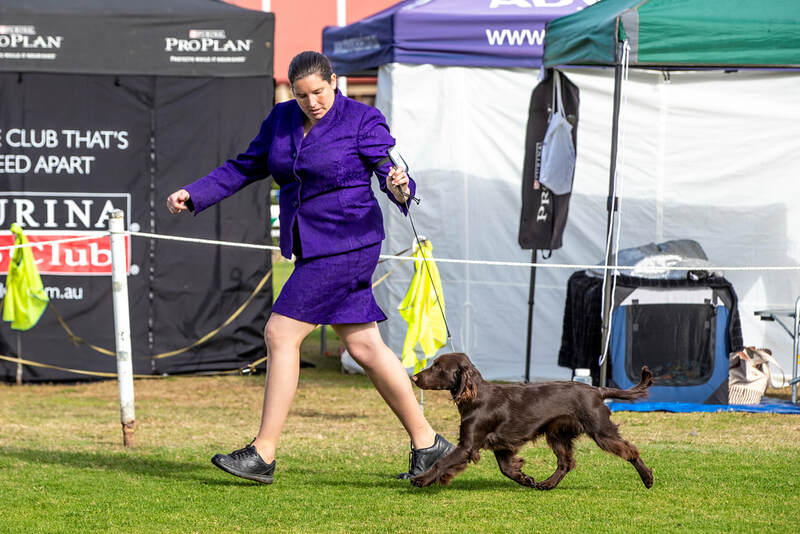 With an outgoing personality making friends wherever she goes coupled with a classic Field Spaniel head, lovely spring of rib and moderate angulation she is sure to make an impact on the breed. 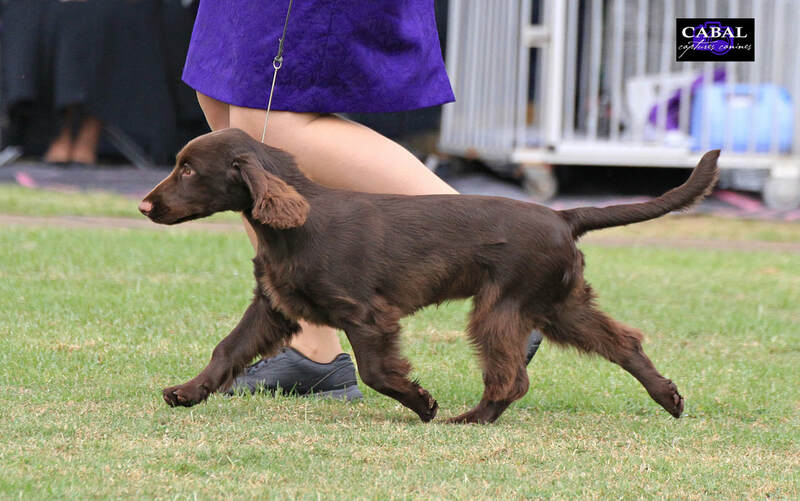 Bred down from Australia's only endurance titled Field Spaniels we hope she will continue if their footsteps in both the show ring and the performance arenas. ​Australian Championship gained at just 7 months old.